McClain Insurance Services is proud to be one of the few and trusted Dave Ramsey ELP Insurance Agencies in Washington State. Looking for a Dave Ramsey ELP in Washington State? As one of Dave’s trusted insurance advisors we take very seriously the responsibility in representing and following his principals. As you are likely aware by now Dave Ramsey only recommends independent insurance agents — like us. 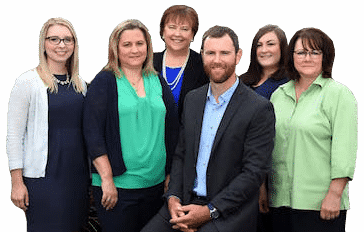 As an independent insurance agency in Washington, we have the ability to approach multiple A-rated companies to find a custom fit insurance plan to fit your unique and specific needs. There is no cookie-cutter advice here. Being an ELP isn’t easy; it’s hard work because we’re held to a higher standard of excellence. While we do pay a fee to cover program maintenance and employment costs, Dave’s recommendation is not bought—we’ve earned it. You know that you’re going to get the same type of advice from us that you would get from Dave himself. We’re someone you should feel comfortable talking to and someone you can trust. Go ahead and ask around: 98% of people who have used ELPs would recommend them to a friend. We work for you—not a captive insurance company. We’re not limited to one insurance plan and can search from dozens of policies from many reputable insurance companies. Our goal is the same as yours: find the best coverage at the best price while providing accurate and unbiased advice. Dave Ramsey is America’s most trusted voice on money and business. He’s authored five New York Times best-selling books: Financial Peace, More Than Enough, The Total Money Makeover, EntreLeadership and Smart Money Smart Kids. 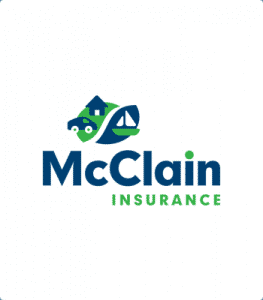 Dave has helped millions of people get out of debt and build wealth, and he recommends McClain Insurance to help you with your insurance needs! You can download PDFs of your insurance policies from your current insurance company's customer portal. If you don't have access to this, no need to worry - we'll just need some additional information from you. Do you qualify for any of the following discounts? Select all that apply. Does your partner/significant other qualify for any of the following discounts? Select all that apply. Tell us about your home's safety features. Select all that apply. Is your alarm system monitored? Do you have a wood burning stove or fireplace insert? What type of pets are part of your family? Select all that apply. Please describe the breed of each dog. Please describe the other animals you own. Do you operate a business on the premises? Examples include child care, direct sales businesses such as Mary Kay and Pampered Chef, etc. Please describe your in-home business. Have you experienced a homeowners/renters insurance claim in the past five years? Please describe your claim(s) in as much detail as possible. Other than you, are there any additional household drivers? Other than you and your spouse/parter, are there any additional household drivers? How many additional drivers are there? Please tell us about additional driver #1. Please tell us about additional driver #2. Please tell us about additional driver #3. Please tell us about additional driver #4. Do any household drivers qualify for a good student discount? This requires a 3.0 GPA or higher. Please name each driver that qualifies for a good student discount. Please tell us about vehicle #1. Please tell us about vehicle #2. Please tell us about vehicle #3. Please tell us about vehicle #4. Please tell us about vehicle #5. Please provide the usage (pleasure, commute, or business) for each vehicle. If used to commute, please list approximate commute mileage/one way. Are any vehicles used to transport people or goods for a fee (examples include Uber and pizza delivery)? Please explain how your vehicle(s) are used for business. Has any household driver been involved in any at fault/not at fault accidents or received any tickets in the past five years? Please explain each driving incident and give an approximate date if known. Have you experienced an auto insurance claim (including glass) in the past five years?